Have you got dry skin? “HOMEMADE FRUIT PACKS FOR DRY SKIN”, yes you heard it true. Your skin works great with fruits and homemade fruits packs is a simple and great solution for curing dryness of your skin. In your healthy diet, even fresh juicy fruits are great to keep your skin healthy and glowing. Likewise, fruit is also beneficial when used in different homemade natural packs and works amazing for dry skin. We will discuss some of the best homemade fruit packs for dry skin that remove dryness from your skin. Your skin becomes smooth, glowing and beautiful as ever by using natural fruit packs. Fruits are rich in different minerals, vitamins and other essential nutrients that make your skin glow and healthy. You should try homemade fruit packs for dry skin as it will solve your rough skin problem. STRAWBERRY…. ahhh.. so delicious and tasty fruit which is rich in vitamin C that helps your skin to remove dead skin cells. It is also loaded with various skin-friendly minerals and vitamins, lighten and illuminate your skin complexion. 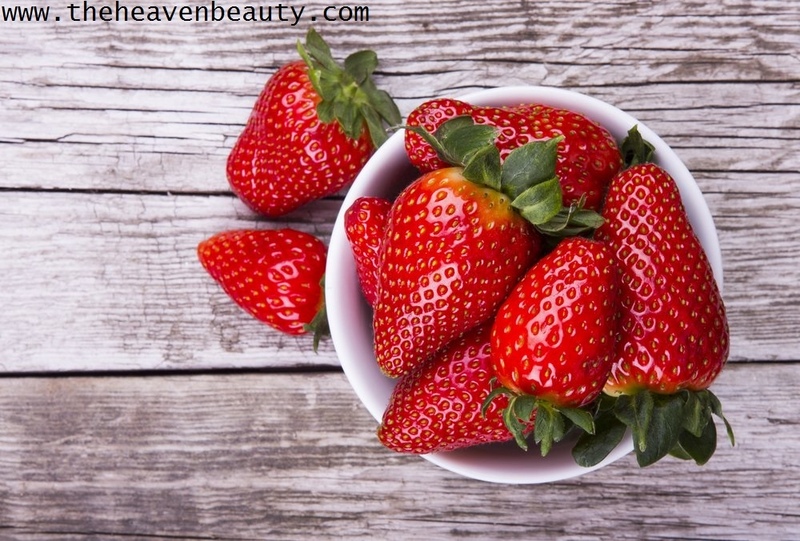 Strawberry also contains different antioxidant properties to cleanse, nourish your dry skin and protect your skin from harmful U.V. rays. Milk cream can be easily found in the kitchen and contains lactic acid to nourish your skin deeply. Your dry skin also moisturizes and makes it soft and glowing and improves skin complexion. -> Take two-three organic strawberries and some (one-two tablespoons) fresh milk cream. Crush the strawberries, add the fresh milk cream and mix it well in any bowl. Apply this natural fruit pack to your whole face and leave for approximately 20 minutes. Wash it with lukewarm water afterward and pet dry and use a good moisturizer. 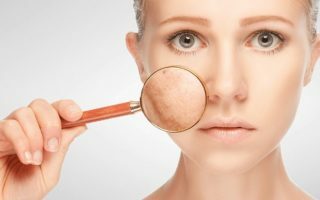 Utilizing:- You need to use it once a week for beautiful skin. Remember that quote: “AN APPLE A DAY KEEPS THE DOCTOR AWAY”, apples are good for your health, gives you healthy and glowing skin. It helps to cleanse your skin and remove dead skin cells, even nourish your dry skin and also prevents harmful sun rays that damage your skin. Honey contains various antioxidant properties that help your dry and dull skin to moisturize. Your skin looks soft, smooth and naturally glowing, deeply nourished and make it healthy and beautiful. Grapes are rich in vitamin C that helps to remove the suntan and dead skin cells from your skin. Vitamin E is also rich, which moisturizes your dry skin and makes it a soft touch. It also helps to reduce pimples and prevent damage to your skin. 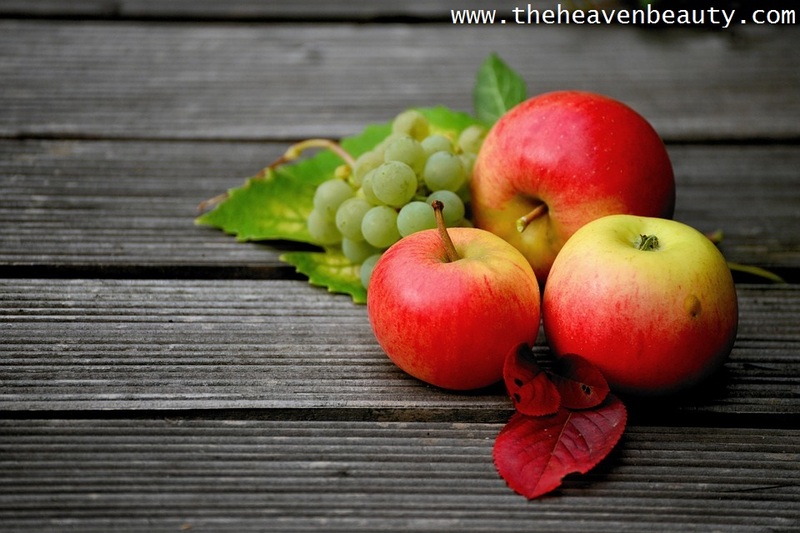 -> Take fresh pieces of fresh organic apple, one tablespoon honey, and some (five-seven) grapes. Now, blend the apple and grapes well in a blender to make a smooth paste, add honey to this smooth paste and mix it well. Apply this fruit pack on your entire face and leave it for around half-an-hour. Wash your face with normal-lukewarm water and pet dry, apply good moisturizer of your choice. Utilizing:- You need to use it once or twice in a week for the best result. Papaya is enriched with a papain enzyme and vitamin A that helps to remove dead skin cells and even improves skin tone. It also contains anti-inflammatory properties that reduce your skin’s fine lines and wrinkles. It also nourishes and hydrates your skin deeply. 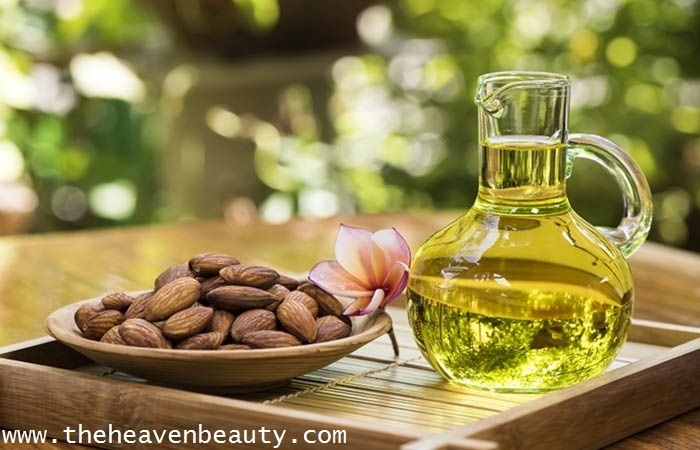 Almond oil is rich in vitamin E that nourishes your dry skin and hydrates to makes it soft, smooth and supple. It also gives your skin natural brightness and glows. This oil is even great for your damage hairs to make it healthy looking. -> Take few papaya pieces (as per requirement) and one-two tablespoons of almond oil. Crush the papaya well with the help of a fork to make a fine paste and add almond oil in it. Mix well and apply this pack of fruit to your whole face and even on neck part if you wish. Leave it for approximately 25-30 minutes and wash it with normal water, then pet dry and use a good moisturizer. Utilizing:- You need to use it once-twice in a week for silky skin. Avocados are rich in different antioxidant properties that protect your skin against harmful U.V. Radiation. It is good to have it in a meal for healthy skin and reduces the process of aging. It also contains vitamins C and E that remove dead skin cells from your skin and moisturize your dry skin to give a healthy and bright look. Olive oil is used in various healthy dishes as it is good for your skin as well as your hairs. It contains antioxidant properties that protect your skin and provide your dry skin, natural moisturizer. -> Take some avocado pieces (remove the skin and then cut into pieces) and two tablespoons of olive oil and mix it well. Apply this pack to your face area and leave for about twenty minutes. Wash it with normal water and pet dry and you can even apply a good moisturizer. Utilizing:- You need to use it once in a week for the best result. Kiwi is highly rich in vitamin C that helps your skin to remove dead skin cells and also prevent damage to your skin. It is also rich in vitamin E that helps to hydrate your dry and raw skin. 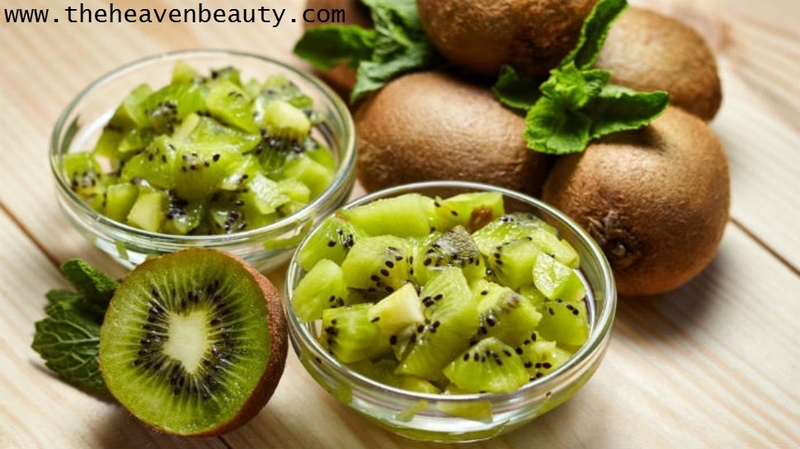 Kiwi also helps to improve your skin’s elasticity and make it healthy and luminous. It also lightens and shines the skin tone and protects your skin against harmful sunlight. Yogurt tastes delicious and can be added to a variety of healthy dishes. But it’s great for your skin and hair as well as it helps your skin to remove dead skin cells and dirt. It also helps to make your skin looks soft and glowing by cleansing and nourishing it deeply. This is one of the amazing among other homemade fruit packs for dry skin. -> Take one fresh small kiwi, one tablespoon of plain yogurt and any clean bowl which is available. Crush the kiwi well in a clean bowl to make a fine paste and add yogurt to it and mix it well. Apply this fruit pack on your entire face and leave it for at least 15-20 minutes. Wash your face with lukewarm water and dry it with a clean towel. Utilizing:- You need to use it once in a week for clear and glowing skin. Banana is a common fruit found in nearly every house and it is energy – intensive and excellent for skin and health. It is rich in vitamins B6 and C that helps remove dead skin cells and nourish your dry skin. 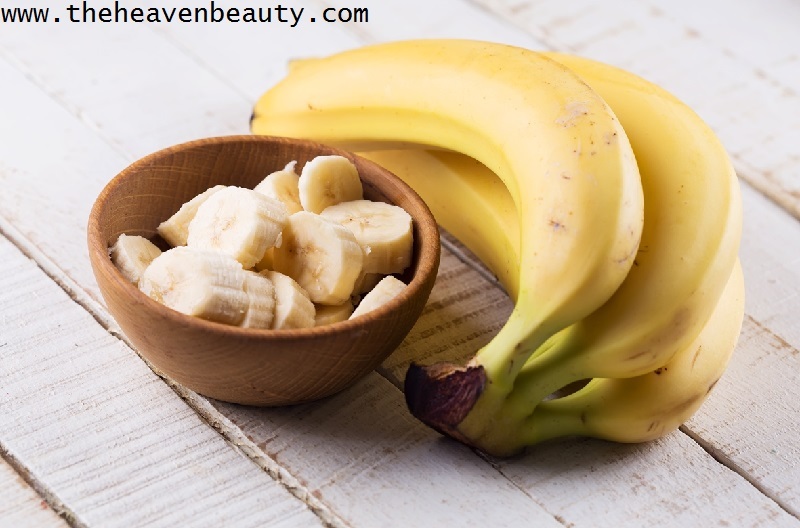 Banana is also rich in different antioxidant properties that help protect your skin against harmful free radicals. It is rich in vitamin A that moisturizes your skin deeply and eliminates dryness and dullness to have smooth and glowing skin. Milk is used in various dishes and is rich in different nutrients that help your skin to remove dryness. It contains a natural moisturizer that helps your dry and dull skin to moisturize. It cleanses your skin gently, removes dirt and dead skin cells to lighten your skin complexion. Sunflower oil helps to hydrate your dry and rough skin and absorbs quickly and nourishes your dry skin deeply. Your skin also becomes soft and smooth and even great to add in your meal. -> First take 1/2 fresh banana, one-two tablespoons of raw milk and one tablespoon of sunflower oil. Mash the banana well with the help of a fork to make a fine paste and slowly add milk and sunflower oil to it and mix it well. Apply this pack on your entire face and leave it for around 20 minutes. Afterward, you can wash it and use moisturizer if you want. Utilizing:- You need to use it twice in a week for the best result. 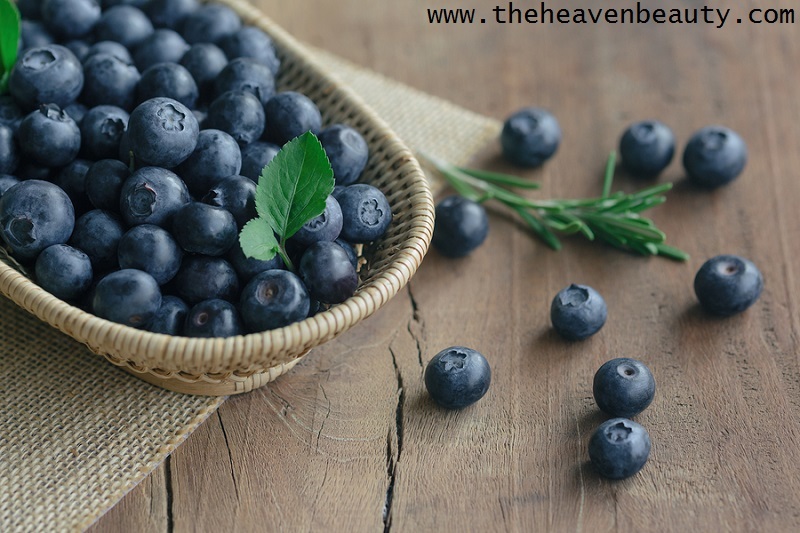 Blueberry is a great fruit like strawberry and is rich in different antioxidant properties that protect your skin against harmful U.V. Rays or rays of the sun. 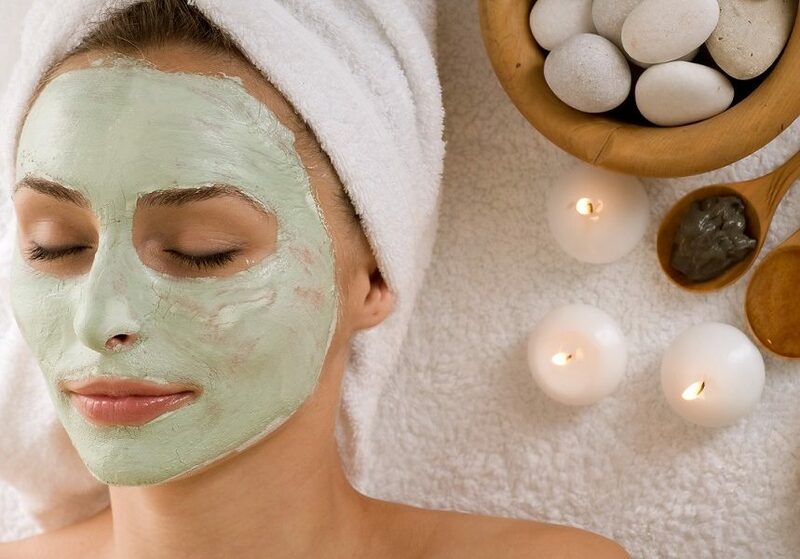 It also cleanses your skin and feeds your dry and dull skin deeply and also reduce your skin’s wrinkles and fine lines. Aloe Vera gel is great for your skin and heals a lot of skin problems and also great for your damaged hair. It helps to nourish your dry and rough skin deeply and also moisturized for soft, smooth and healthy skin. This is one of the best and effective among various homemade fruit packs for dry skin. -> Simply take seven-nine fresh blueberries and two tablespoons of fresh Aloe Vera gel. To make a fine paste, crush the blueberries well and then add gel to it and mix well. Apply this pack of fruit to your face and leave for about 15 minutes or more if you wish. Wash it with tapped water and pat dry with a towel. Utilizing:- You need to use it once or twice in a week for glowing skin complexion. Peaches have different skin benefits and are also good for health as it cleanses your skin gently and removes dead skin cells. It is also rich in various antioxidants that help protect your skin from harsh sun rays and reduce the process of aging. 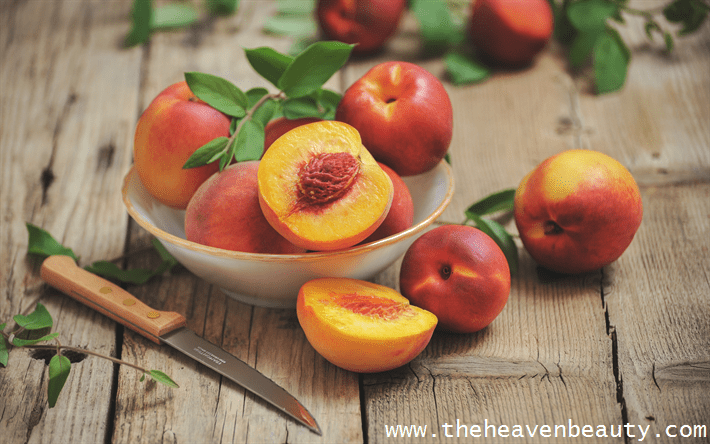 Peaches also help to hydrate your skin, improve skin complexion and remove dryness and dullness. -> First take one fresh peach and blend it well to make a fine paste. Now you can add raw milk (if you want it) and mix well. Apply this paste to your face for approximately 15 – 20 minutes. Now, wash it thoroughly by cleaning it nicely. 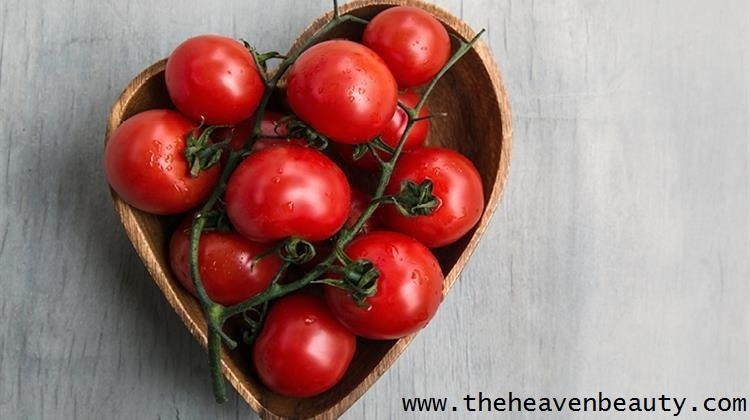 Tomato is a common “FRUIT… FRUIT” found in nearly every house and some people will think about why we wrote fruit instead of vegetable. But the tomato is not considered as a vegetable it is a fruit. It is rich in vitamins A and C that help to remove dead skin cells, cleanse your skin and protect against harmful sun rays that damage your skin. It also contains antioxidant properties that help your skin to be healthy and bright, even nourish and hydrate your dry skin. When you want to relax your skin, cucumber is very beneficial as it cleanses your skin gently and nourishes your dry skin deeply. It also moisturizes your skin and gives your skin coolness and also make it soft, healthy and glowing. -> First take one little tomato and 1/2 cucumber and mix tomato and cucumber well in a grinder to make a fine paste. Add olive oil (if desired) and mix well, apply this pack to your whole face and leave for about 15 minutes. Clean your entire face nicely with water and dry it with the towel. Utilizing:- You need to use it twice in a week for a charming look. The peel of pomegranate has more skin benefits than the juice of pomegranate and it is rich in vitamin C that cleanses your skin and removes dryness. It has anti-inflammatory properties that help protect your skin against harmful U.V. Radiation. Pomegranate also contains anti-aging properties that reduce the process of aging, nourishes and softens your skin to make it healthy. Rose water helps to soften and smooth your skin and also feeds and moisturizes your skin by removing dryness and dullness. It also helps to improve skin complexion and soothes your tired and dry skin. 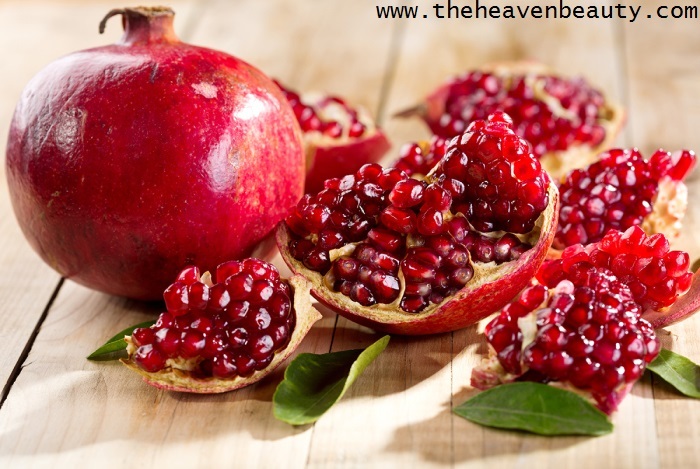 -> Take one-two tablespoons of dry pomegranate peel and some rose water as per requirement. Mix both of them well with the help of spoon in a clean bowl. Apply this fruit pack on your entire face and leave it for at least 20 minutes. Now, wash your face with lukewarm water and dry out completely. Hence, these are various natural homemade fruit packs for dry skin that help in removing dryness and dullness from your skin. These fruit packs hydrate and nourish your skin naturally and makes your skin look healthy and soft. Apply any moisturizer of your choice after using these homemade fruit packs for dry skin for softer looking touch.